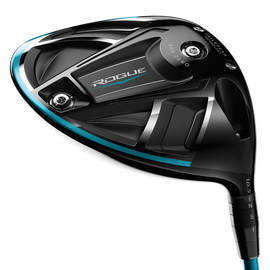 Jailbreak Distance in a Low-Spin / Ultra-Forgiving Shape Rogue Sub Zero is an extraordinary achievement: a powerful, extremely low-spinning, Tour-level driver packaged in a high MOI shape. Two interchangeable weights (2-gram and 14-gram) to adjust spin-rate and launch angle. Put the 14-gram up front to lower spin, or in back for higher launch and increased MOI. Choose from 50g, 60g, and 70g weights including the Aldila Synergy, Project X EvenFlow, and Project X HZRDS Yellow.